The Sister Sabria Foundation works at the grassroots level to meet the community’s needs. Over 80% of our resources go towards feeding the community. The rest of our efforts are divided between running a 14-bed shelter for vulnerable women and their families and building an orphanage for child refugees in Malaysia. SSF is at the forefront of the battle against hunger in our own backyard. We mobilize daily for food drives, distribute food baskets, bake sales, charity dinners, food fairs and communal gatherings and events. 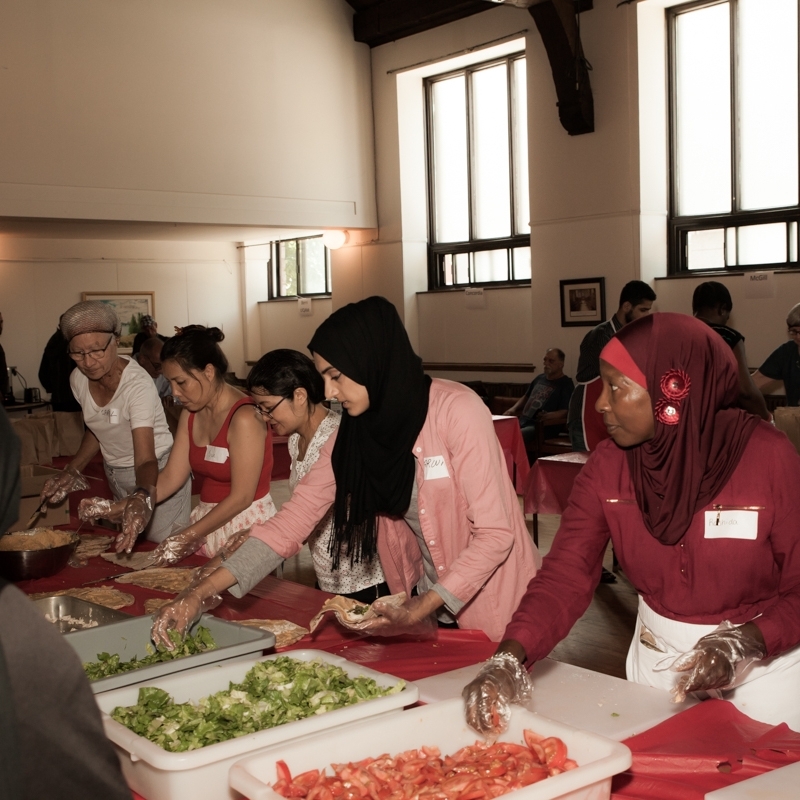 We work with mosques, churches and other community centers to reach those who need us the most. For a list of where to find us next, check out our upcoming events.